If you want to be a developer and like to begin your career in programming field. Then these are the top 10 programming language you should know. Understanding at least one programming language also makes an impressive addition to your resume. In this article I am going to list out the popular programming language and its online tutorials reference. This language has a huge demand mainly for enterprise software, more secure web based content, games, mobile app and very famous Android OS. Java can work across several software platform which means if its written on Mac OS then it can also run on Windows and Linux. It is developed by Sun Microsystems in 1990s which was bought by Oracle. So Oracle is a current maintainer of the Java development tools. I hope this article will give some insight of top 10 programming langue which is used by most of the Software companies. Feel free to give a comment below. 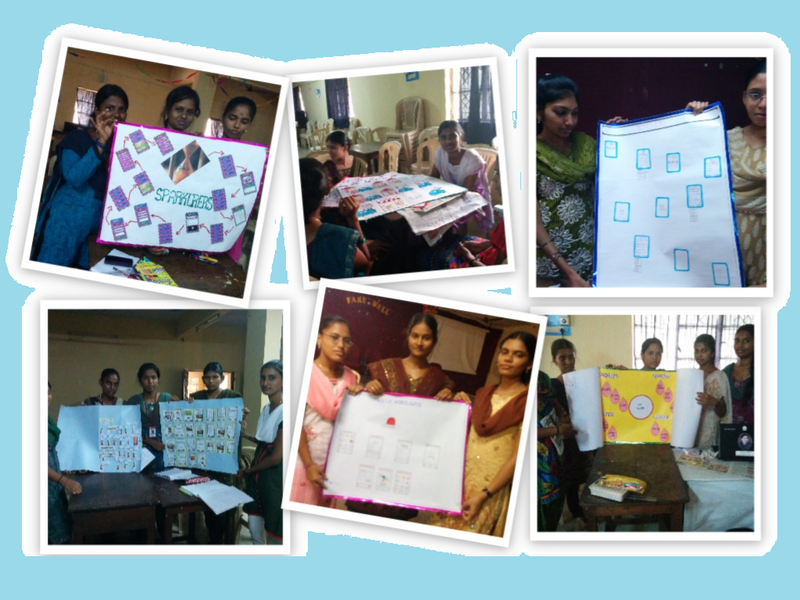 Hi All, In this post I would like to share my experience as mentor for mentoring more than 200 girls in my native place Madurai for Technovation challenge 2014. The journey of 12 weeks with these young talents were really unforgettable in my life. I felt that my knowledge got enlightened during this mentoring program. God creates human with imbalance mean someone has more knowledge, high IQ someone struggle to learn new thing. Someone is reach forever, someone is poor by birth. I believe this inequality is to make sure that humans balance themselves and live a better life. So if your are geek by nature make sure that your knowledge is equally shared with everyone. If you are rich by birth make sure that your money is equally distributed to everyone. 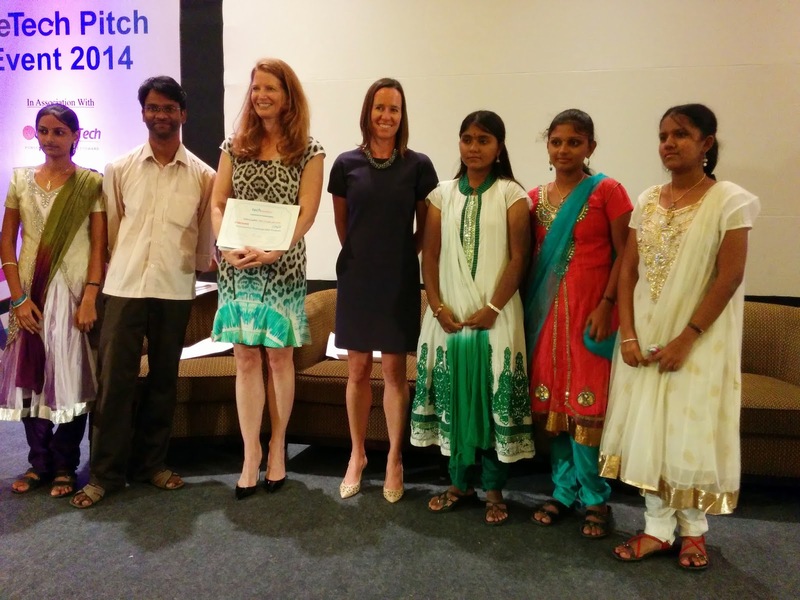 WeTech(Women Enhancing in Technology) is an NGO which brought this Technovation program to India this year. They have partnered with companies like Qualcomm, Google and Goldman Sach, to execute the program in India to give opportunity to young girls. I was invited to be a Mentor representing QUALCOMM to mentor one team based on Bangalore NPS (National public School). But I was born and brought up from Madurai I would like to bring this opportunity to Madurai. I know girls in Madurai have lots of potential to create execute new ideas and compete with teams in world wide. 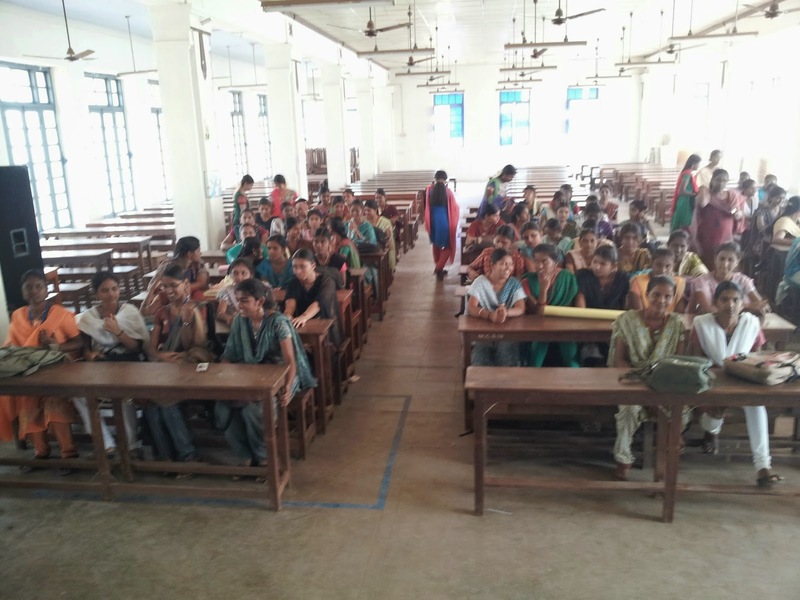 To recruit young girls for this program I started composing mail to all the Women College in Madurai. I collected their mail id from college website and send a mail about Technovation program. But unfortunately I didn't get any response from any college. So I requested my sister ManiMala to create awareness about this program. I asked her to register as a regional coordinator. She was alumni of Madura and Thaigarajar College. She went to those colleges and gave a presentation about this program. 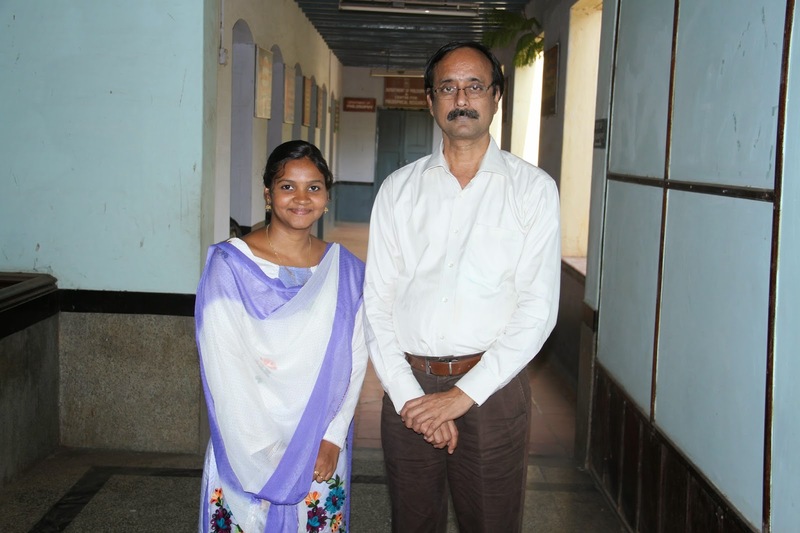 As a result she recruited more than 200 girls from these two colleges. After recruiting the mass 200 girls we started registering the student’s team names in Technovation official site to get the study materials and other stuffs. The initial thought of my mentoring is to have Hangout session or Skype call to all the team on every weekend to prepare them for the contest. But later I realized most of them don’t have access to internet. But it doesn't stop me I started executing the plan B mentor them face to face. To organize the face to face mentoring the biggest problem is a common place where we can bring these girls and teach the Technovation Curriculum. We requested Madura College to give the permission to conduct this program on weekend. The most challenging task in the entire journey is to convince the college to get the place in their campus, But Principal of Madura college and Latha mam professor Zoology department, Madura College made it easy. We have to say a big thank to Pricipal and Latha mam, without them Technovation in Madurai is one of my dream I use to have. 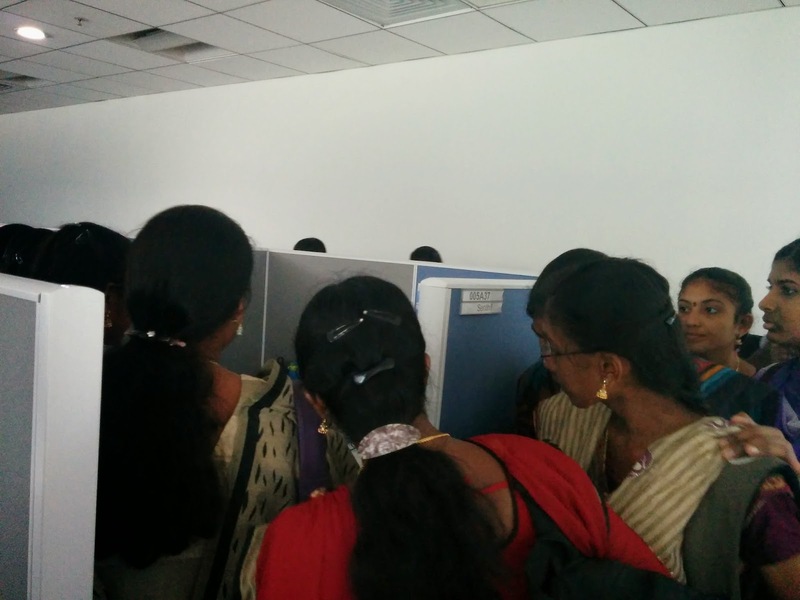 I started travelling to Madurai on every weekend to teach the Technovation curriculum. Mani Mala work on weekdays with Latha mam writing the letter for the permission, schedule the class timing and inform the girls about the class. The interesting part here is passing the class information to these girls. Basically they don’t have access to internet, so we can’t send a single mail to all the register girls about the class timing. The next only option is to send a SMS to them as they all have basic phone. We have 200 register girls which mean we have to send 200 SMS. But as per the TRAI regulation in India you can only send 100 SMS per day. So we split into two groups first 100 ManiMala will send SMS and next 100 students I will send from my number. We have class on both Saturday and Sunday morning 10AM to 1PM. The purpose of having class on two day is if student who missed the class on Saturday due to some personal reason still can attend the same on Sunday. Outline a plan for completing prototype. Finish paper prototype and bring to class next week. Finish skeleton of screens in App Inventor. Insert at least 3 functional screen shots of your app prototype into your presentation. Practice your pitch and record feedback. The 12 weeks mentoring 6 hackathons finally these girls able to give life to their ideas. The deadline for deliveralbe submission is May 2 2014. As end of the 12 week curriculum this girls has to submit the below deliverable to Technovation. Pitch video is an one of the important deliverable in the contest. But the challenge is taking the pitch video and uploading it to YouTube. As most of the team have basic phone they are not able to record their pitch video. So our last week hackathon we decided to have pitch recording for all the teams. I used my digital camera and Nexus phone to shoot their pitch video. This is the funniest part of my mentoring experience me and my sister literally become a movie directory and dialog writers. These girls will give their pitch script in Tamil and we translate it to English and give a practice to them to make sure they talk the entire 4 mins in English. This is really different experience for them. There are multiple retakes yeah it is really fun we enjoyed the weekend a lot. The have completed their paper and ppt prototype of the idea. They completed their android app in app inventor. They prepared their business plan with app demo video and pitch video. These deliverables are submitted to Technovation forum on May 2, 2014. All the teams deliverable went to different level of judging from mentors all around the world as a result three teams from Madurai got selected for best idea in Regional category .Other team got selected for different category. Top three teams from Madurai invited to attend the WeTech Pitch event in 19th July Bangalore. I have booked ticket for all the team from Madurai to Bangalore. This task not really easy as i expected. Because all these girls are first time travelling outside Tamil Nadu. So their parents are not ready to send them alone. I called all the parents and convinced them that how important this trip for these girls career. That weekend i made more than 65 calls from my phone to convince their parents to send them to Bangalore. Finally they agreed to send them, they boarded bus at 9:30 PM Friday 18, July from Madurai and reached Bangalore at 7:30 AM Saturday 19, July. I went to bus stop to receive all the girls. In Saturday morning i am able to see more excited faces, for them visiting Bangalore is like visiting US at first time. All are more excited and happy. Here i want share one thing i am somewhat good in mentoring but completely Zero in organizing i felt that organizing is the toughest job. The entire 12 weeks my sister take care of organizing events i just went their and start sharing my experience with them. But this time my sister did't come with these girls due to some personal reason. I am really clueless how i am going to manage all the 15 girls. I have to arrange place for refreshment, breakfast, transport facility to reach the event. I planned everything perfectly but i don't know how i am going to execute as a single person. Then i asked help from my colleagues Vijay and Suganya. They immediately accepted my last minute request and stayed with me a whole day. Here i have to thank them that you people made it. As the plan is that Wetech event starts at 2PM. So i thought of giving lab tour to these girls in our Qualcomm Bangalore in Morning and afternoon i can bring this girls to the auditorium. I have to thank my colleague and mentor Dhana who helped me to get permission to visit our lab from security team. I brought this girls inside our RF LAB and demonstrated some of the board and wireless chips. I have explained them how we works and what product we are making. I hope all of them got some inside of Tech companies. Technovation is not just a contest where girls will develop their android application and winner will get prize. This is more than a contest, the whole objective of the program is to motivate these girls to start a technological company using their idea. They will pitch their ideas to Venture capitals and investor for funding. To enable this dream i am working with these girls to develop a platform called Me2Mentor and MentorSpace. Technovation got over but still i am travelling in weekend to teach opensource technology such as Linux and python to these girls. 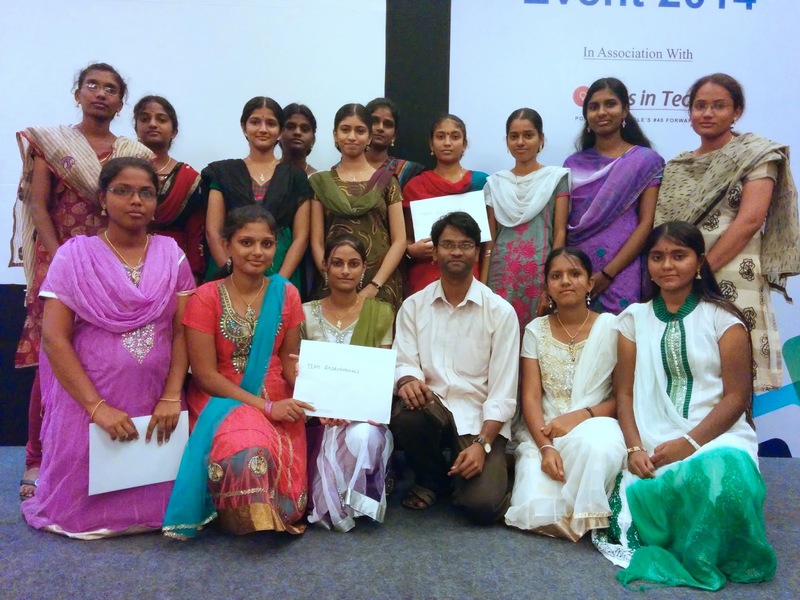 As a end result young girls (technovation participants) from Madurai started their own company TheScreenInc and applied for startup programs 10000startups, Google Fast track and citrix startup accelerator. They are waiting for the result. I pray god that they should selected for this program to make their idea into a product to touch people lives. Me2mentor is a software platform which provides opportunity to everyone irrespective of Geo location and internet facility. The idea is anyone who having passionate about technology and want to pursue their career in research field can use this platform. A basic phone with SMS facility is more than enough to get everything Me with these girls are developing this platform using Python, Google app engine and twilio voice and SMS API.It will be great if some googlers ready to help us to bring this platform.up and running in Google cloud. After successful registration you will get a unique Id for further communication. Student can use the MentorSpace to have live hangout with mentors. Mentorspace is a physical location or class room with one projector, one Laptop with 3G dongle and sufficient space to accommodate 30 students. where we connect the young girls with right mentor. 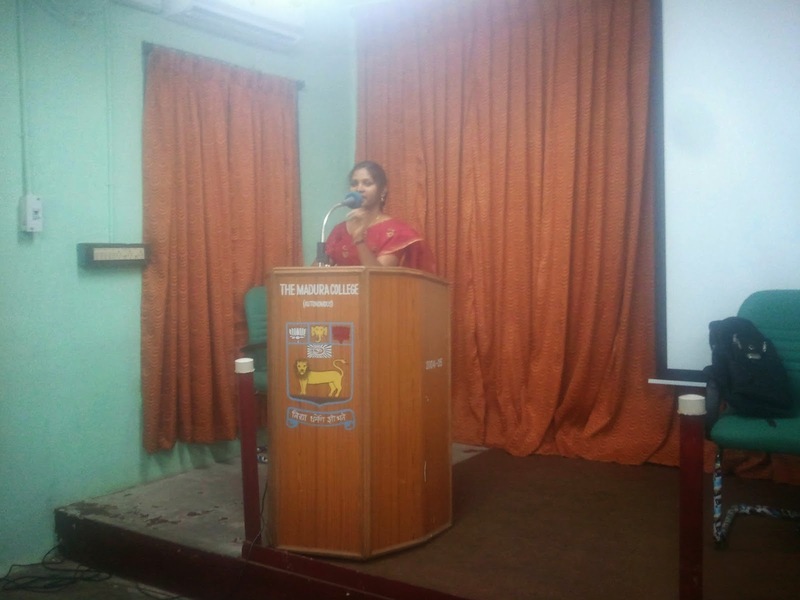 we are talking with Colleges and Schools in Madurai to create a Mentor Space in their campus. We need companies support to arrange this stuff in mentor space to connect these girls with a right mentor anywhere in the world. We are really working hard to connect more girls with WeTech and Technovation. We hope Technology challenge 2015 the girls list grow up from 3digit to 4 digit. I am translating all the Technovation curriculum to Tamil to avoid the language barrier and make sure this curriculum should reach every one. App inventor demo in Tamil. I am making some of the basic app inventor tutorials in Tamil and plan to upload it to YouTube. The VI editor is a one of the most powerful text editor which has a very extensive functionalities to allow developer enabling to edit files with a minimum of keystrokes. This power and functionality comes as a cost. This article I am going to explain basic command which helps you to put your hands on in VIM editor to write your program. VIM has three modes of operation. Command Mode : This is the mode VIM starts in by default. 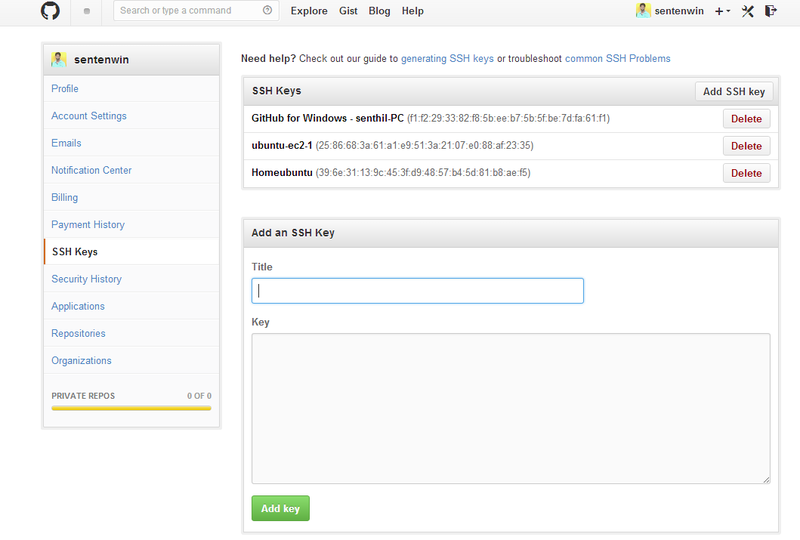 In this mode, most keys on the keyboard are defined to specific command. At any time, pressing the ESC key and typing colon : returns the user to command mode. Visual Mode: This mode allows you to do the visual operation which is common in grapical editors like selecting punch of lines copy/pasting/deleting the text in the editor. Pressing v will enters you in visual mode. vim [File name] : [Line No] (eg. vim hello.c :5) This will open the specified file with the cursor point to the given line number. Press v and then arrow keys (or h,j,k,l,w,$) to highlight lines of text. Type > or < to indent right or left. : syntex on Based on the programming the syntex will be enabled. Hello all if you are heard the word developer and wonder what they are and what they will do, and want to become a developer. This is the place to get start to become a developer. In this article I am going to setup the environment to write your first “Hello world” program and share it to the world. A lot of people think, if they can write some code, they qualify as a developer. But it is not like that, if you don’t take ownership and responsibility for solving the overall, real business/user problem you are not consider as a developer.A good developer should understand the overall problem and its context. He has good problem solving skills, take ownership by being a part of the team and having a sense. Before starting you have to understand the below terminology which is always used while talking between developers. Currently there are three major platform available for development. 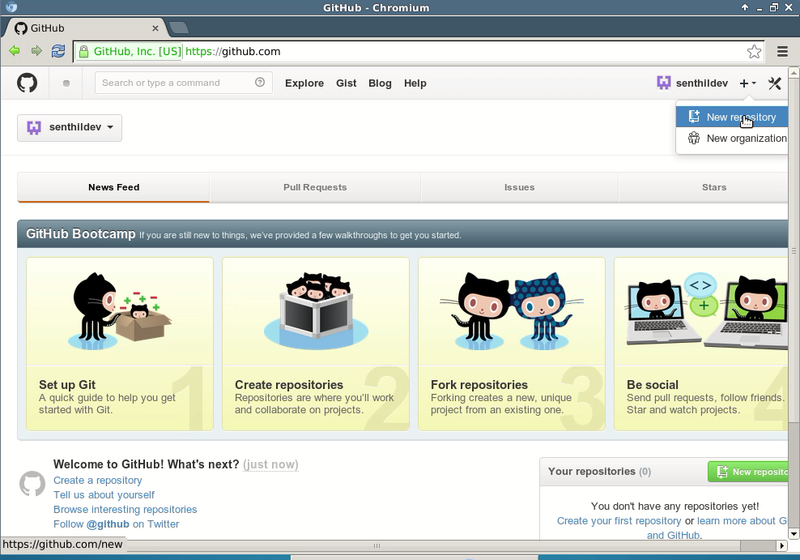 Among three platform Linux is a open Source. It mean using Linux based distribution you don’t need to pay any license. So it is the most used platform in the development world. Linux has many distribution like Ubuntu, Redhat, Open Suse, Cent OS, Mint and so. Ubuntu is the very popular Desktop version of Linux distribution. 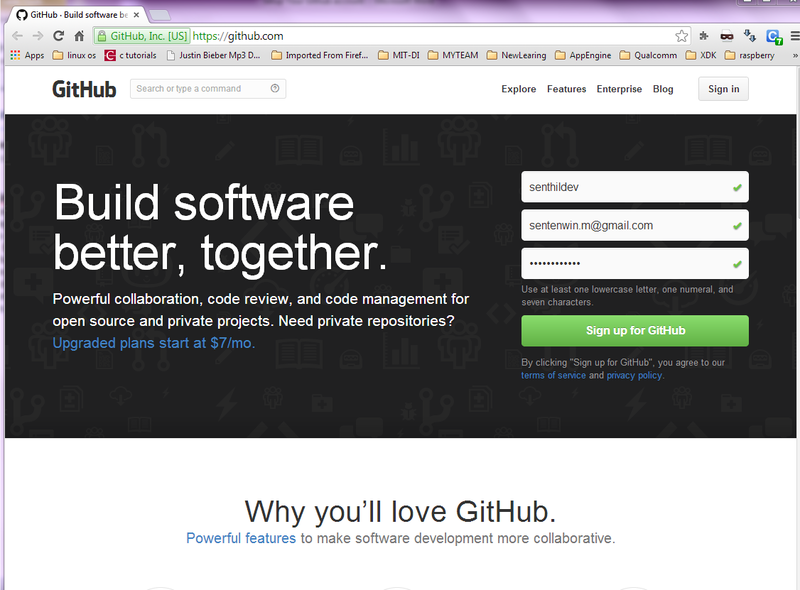 So I prefer you to have Ubuntu on your PC as a dual OS if you call it yourself us a developer. MiniLinux – It is a simple light weight Linux CLI Application which mimics the Linux Terminal. MiniLinux was developed by me on top of mobaxterm with additional plugin support which allows you to get the entire Linux environment on one click. Click here to download the MiniLinux. There are other tools which provides the Linux Environment on windows like Cygwin, Installing Linux on Virtual machine, Mobaxterm free version. But setting up these environment is very complex task for beginner. When I start try to setup the cygwin in my machine at first time I am literally pissed off and I went to install the Ubuntu as a dual OS in my machine. So To avoid all sort of juggling I have created a “MiniLinux” on top of free mobaxterm with additional plugins to get a real flavor of Linux. 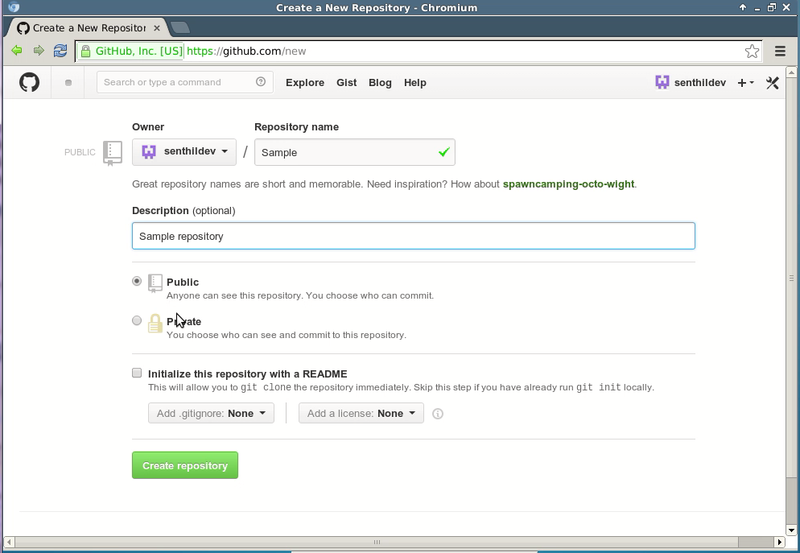 Choosing your editor is the import thing as developer you have to do before writing your code. If you are windows user after hearing the word editor obviously the name Notepad will come to your mind. But it is not really a editor, the name suggest it is simple note taking application. So always it is better to avoid using Notepad to write your program. You have to select the editor which will increase your productivity. If we talk about editor there are two famous editor in the open source world called “VIM” and “EMAC”. In open Source world we classify the developer into two category one who uses VIM and other who uses EMACS. Both are best editor which allows you to write a code in fast phase and increase your productivity. But selecting the one completely depends on the individuals. Here I am VIM guy so I will go with VIM. You don’t need to download anything to setup your VIM editor I already bundle it in MiniLinux application. So just click on the MiniLinux Application, It will open the application which looks similar like your command prompt in windows. In the terminal just type vim to get start the vim editor. VIM editor has three modes. All the vim commands only work in command mode, so always press ESC + : to go to command mode and execute the below commands. GIT is a distributed revision control and Source code management system.When you are working in corporate world you may have to develop a program with multiple people, and all may use the same file to develop different functionality in it, So we need a tool which helps the team cope with the confusion that tends to happened when multiple people are editing the same files. Now your Linux environment is ready and your editor also ready to accept your code then what let start writing a simple hello world program in C. As a Developer you have to develop your code in different programming language but for beginning purpose I will start demonstration in C.
Open your vim editor and start typing/copy the below program. We are using gcc to compile your program. GCC is a open source compiler for C/C++ program. Execute the below command to compile your program. If your program compiles successfully without any error you will see a file in your current directory called hello. Type the below command to run the program. Until you not share your code to the world no one know you are the good developer. Sharing your program to others makes a positive impact on you career development. Company who want to recruit you will see your code and understand your coding ability before calling you for interview. 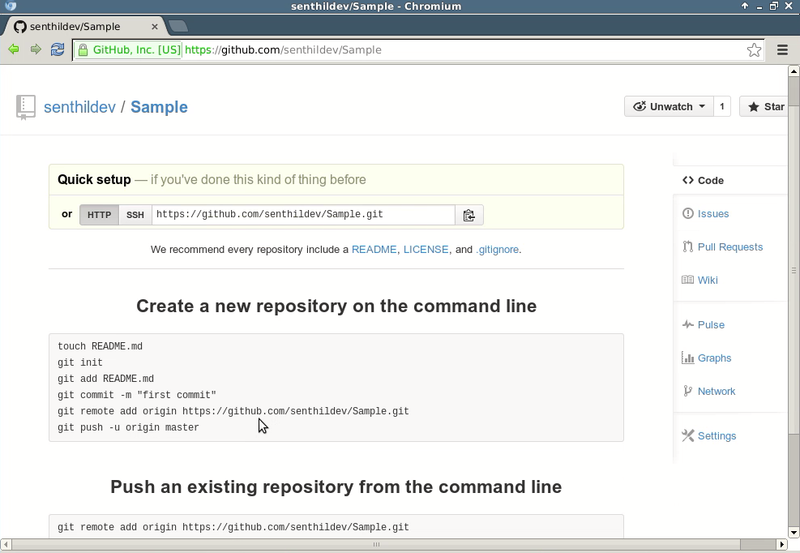 To share you code to other we have open source GIT web called github where you need to create your public repository to upload your code. 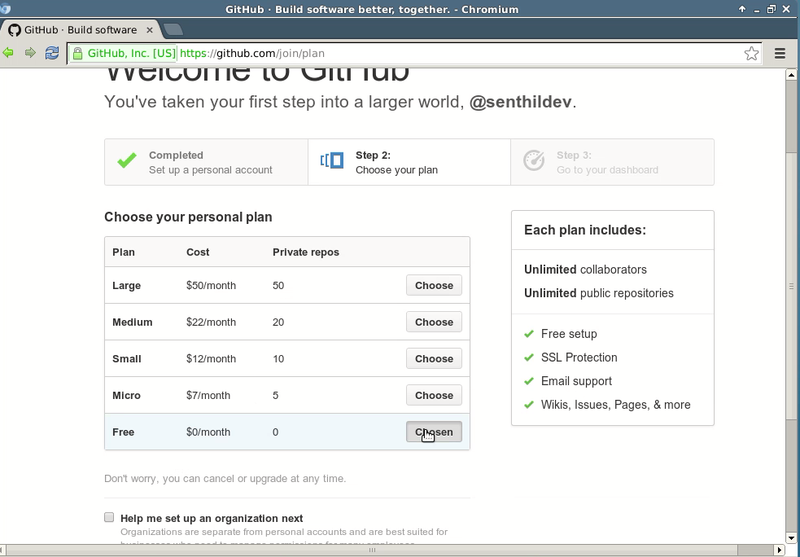 You can refer my GIThub blog to setup your git hub account. 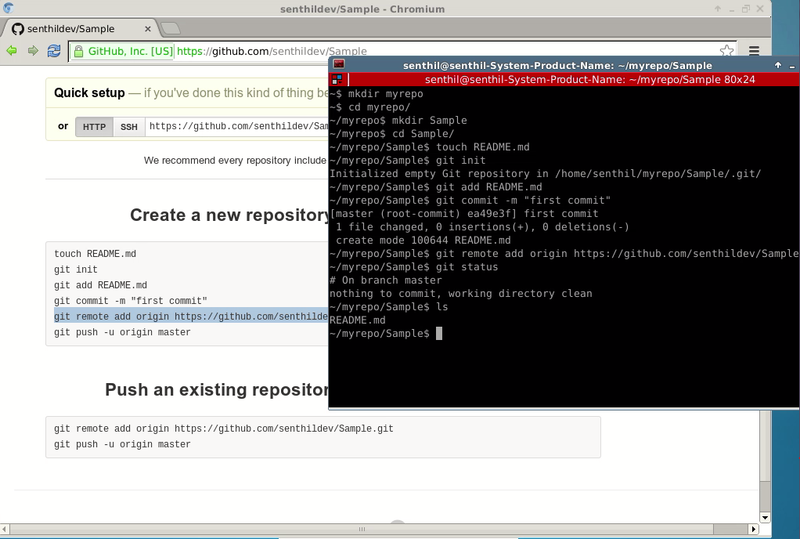 Before doing that first commit your changes into local GIT. Type the below commands to commit your changes.